Painted aluminum and steel. Diffusor in matt acrylic. RAL 1018, apricot RAL 3012, ivory RAL 1015. Other colours on request. Ceiling-hook. 2 m wire pendant. 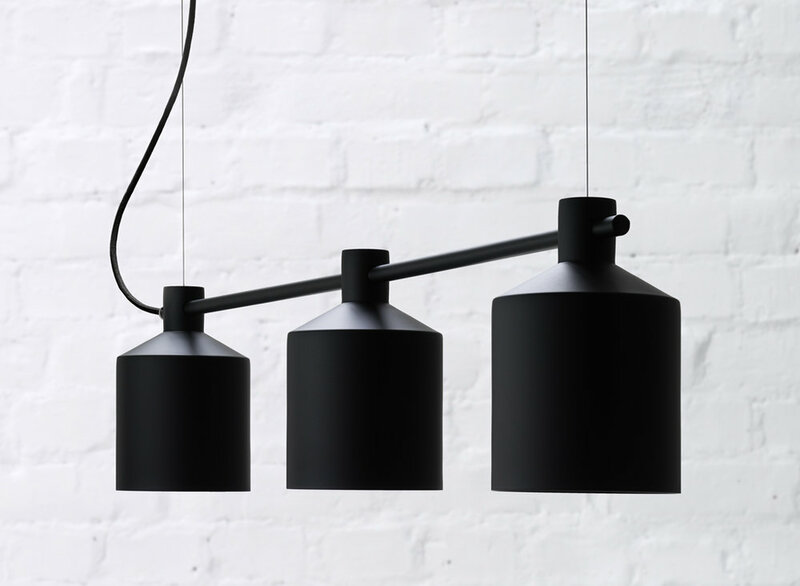 Product specification This year the minimalistic pendant inspired by a grain silo’s classical silhouette has grown into a family: Silo Trio and Silo Floor. Two absolutely logical evolutions, requested by architects, featuring the same industrial simplicity and clarity as its progenitor. Like three peas in a pod, with a slender but sturdy vertical shape. Silo can both scream out or blend in thanks to its very expressive colour scheme.